Theatrical Panto-animals, Part 2: Feedback, history and sources roundup. Pantomime plays were popular entertainment, considered beneath the “high arts” realm of British theater. They were not treated as equally worthy to record or remember, so these photos are all the more special because of it. These pre-movie live happenings seem forgotten today, compared to the era of cinema that came shortly afterwards – where popular artists like Charlie Chaplin (the first international movie star) gained high respect as subjects to study and remember. Vox Fox responded to Part 1, with a historic French film. Nice Swinesuit! At 2:00, can you tell how there seem to be strings inside it, to operate the expressions? Nigel Ellacott is a respected Pantomime performer and website curator – read his animal costume experience. Keith got me my first major pantomime. I played Goose at The Belgrade Coventry with Veteran Comic Reg Dixon as Mother Goose. The sets were by Terry Parsons, and all that glittered was as gold as my eggs! The following year I played Goose again at the Leicester Haymarket, and followed this up with two years as “Puss” in “Puss In Boots”. Of all the Panto animals Goose is THE most uncomfortable. I remember being onstage at the Haymarket – wearing yellow webbed feet with tap shoes underneath. A tall goose neck strapped to my head with four strings to work eyes and beak. A rudder to work the tail. My elbows were tied to the wing flaps and in my mouth was a “duck Decoy” call. The Director bounced on to the stage during the dress and said the words “I think it would be jolly to have a chase around the auditorium.. led by Priscilla”. If that beak could only speak!! I’m not familiar with any printed material on the subject at all I’m afraid. I’ve certainly not come across any. I can’t imagine anyone would have published at the time, with the exception of possibly autobiographies of say, The Conquest Family. I seem to recall George Conquest might have written a book at the time? There is a lady at the V&A Museum who might know something- Catherine Haile. That’s the only contact I have- the Victoria & Albert Theatre Museum. The website article on Pantomime acts was written by our Curator of Popular Entertainment, Catherine Haill. She tells us that there is very little written on Pantomime ‘skin parts’. There are occasional reference in performers’ biographies and autobiographies: in Grimaldi’s memoirs, for example, there is an account of how, dressed as a monkey, the young Grimaldi was accidently throw into the audience by his father, when the pair of them appeared at Sadler’s Wells. But there have been no books on the subject: most information is to be found in newspaper reviews of the performances. V&A Theatre & Performance Enquiry Service. Possible book source found – Victorian Theater memoirs. Nigel’s memoir tips about the Conquest family brought a few results. They had a long and impressive history. Fred Conquest’s photo is at top – George Conquest has a profile here. 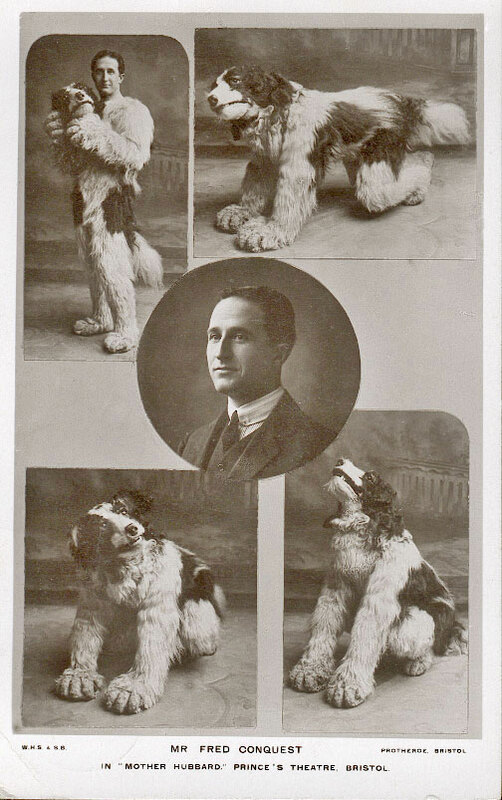 Search led to this source about Victorian history – Theatrical memoirs, Biographies, and Autobiographies: A Bibliography. For sale on ABE books and Amazon. Now that it has become respectable to admit enjoying popular entertainment, the story of the Conquest family deserves to be better known. They were one of those colourful theatrical dynasties who flourished from Victorian times until well into the twentieth century. Many of them were actors who, between them, took on everything from Shakespeare to pantomime; my favourite was the one who played the animals or “skin” roles. A search for vintage Pantomime footage at British Pathé film archive. “British Pathé is considered to be the finest newsreel archive in the world and is a treasure trove of 85,000 films unrivalled in their historical and cultural significance.” A Pantomime search query turns up some results but it’s not very interesting. Nicodemus, author of the Critter Costuming fursuit manual, shared a few panto photos. It’s cool he was on the same track! Rarsuits Throughout History was a topic with a few other great old examples: Chinese dragons, the Krampus, and Rennaissance art. Montreal Gazette – Jan 8, 1930 notice about how his Mother Goose was received in it’s time. 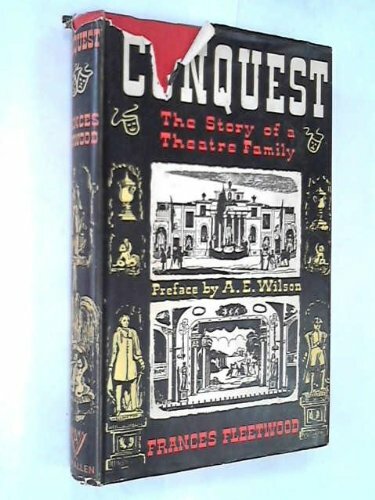 Watch soon for Fred Patten’s review of Conquest: The Story of a Theatre Family. Drop a comment if you have any cool tips – or if you would assist research!